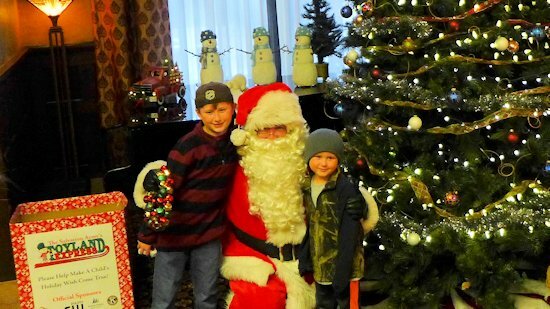 Santa and kids by the Fitgers Inn Christmas Tree. Santa Claus arrived on the Christmas City Express the Friday after Thanksgiving. 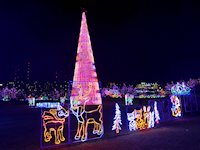 The Duluth holiday season's biggest attraction is Duluth's Bentleyville Tour of Lights, one of the largest outdoor holiday lights displays in the USA. 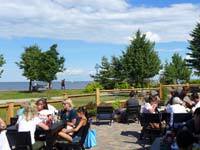 See the complete calendar of Duluth Holiday events lower down this page. 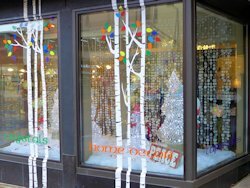 The Christmas Holiday season usually begins the second weekend in November with the Duluth's Junior Leagues annual "Festival of Trees." 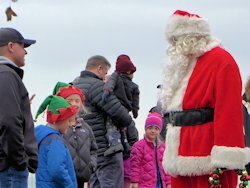 In addition to the hand-decorated trees there are over a 100 craft vendors participating as well as a visit from Santa Claus. 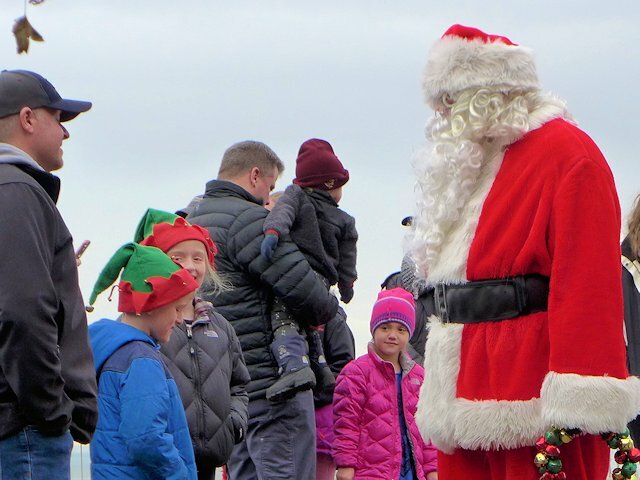 The following Friday is the annual "Christmas City of the North" Christmas Parade. 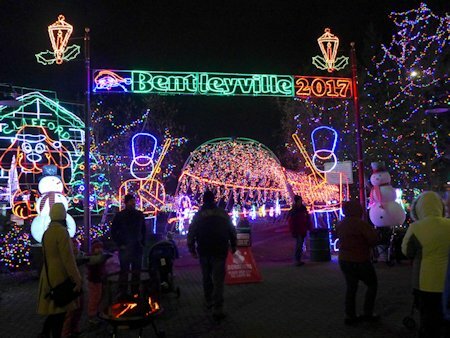 That same weekend, the fantastic Bentleyville Christmas Lights Village opens. 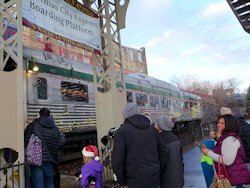 Over Thanksgiving weekend the Christmas City Express (Duluth's version of the Polar Express Train) begins running and continues on weekends until Christmas. 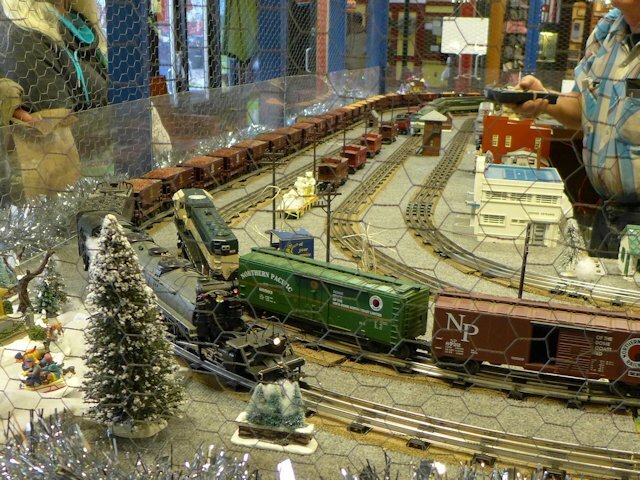 A special Christmas theme train travels from the Fitgers railway stop to the Duluth Depot where kids and their parents are treated to a special Christmas Show. 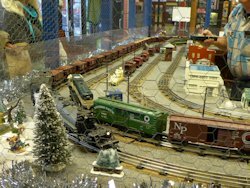 Model train lovers will enjoy seeing the Lionel Train layout running and decorated for Christmas. 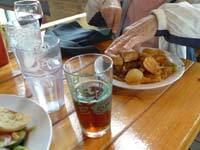 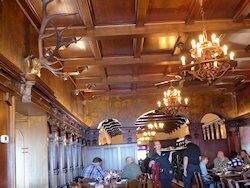 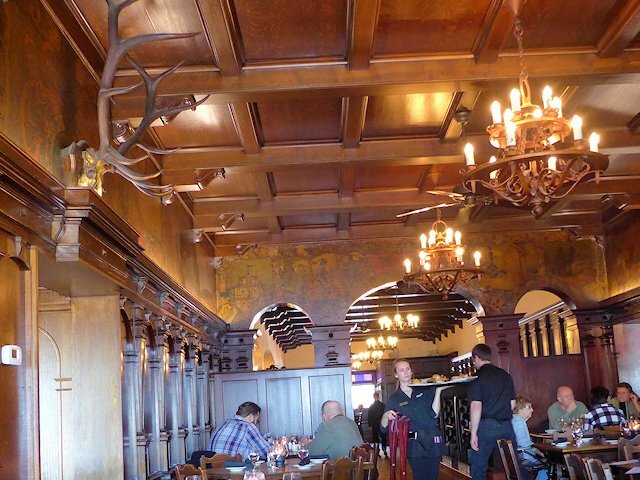 On Thanksgiving Day some Duluth Restaurants are open with a Thanksgiving dinner (we had a great one in 2017 at the historic Pickwick Restaurant). 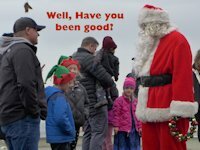 The next day on Friday, Santa sets up shop at the Fitgers Brewery Complex to entertain kids and their Christmas wishes. 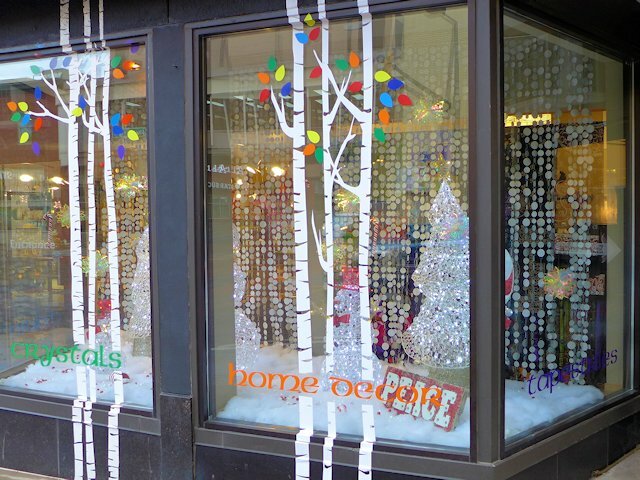 Other holiday events include special Christmas exhibits and tours at the Glensheen Mansion, the Fairlawn Mansion, a Christmas Crafts Winter Village, Downtown Duluth Christmas Window decoration contest, and more. 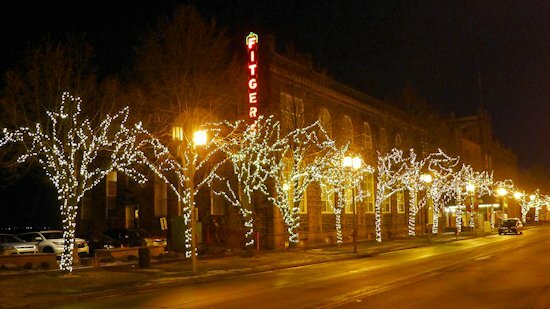 The historic Fitgers Brewery complex decorated for the holidays. 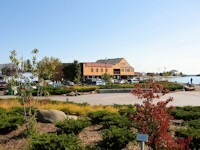 whose displays are illuminated by over 5 million lights. 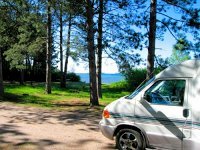 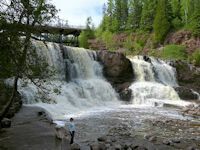 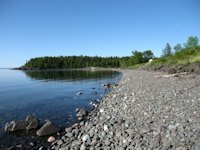 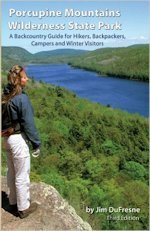 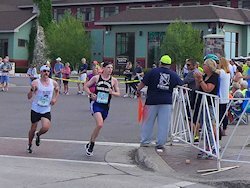 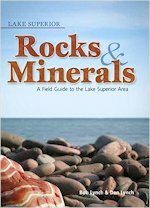 Also see ScenicPathways.com - keyword search Duluth for recent updates on interesting things to see and do in the Duluth Minnesota area. 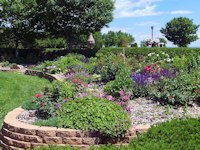 See Duluth's Rose Garden at Leif Erickson Park.